Marathons are considered one of the ultimate tests of grit and determination. As runners attack their 26.2-mile quest, at some point along the way they are guaranteed to want to quit. But despite the urge to stop, they press on like the countless athletes before them, dating all the way back, so the legend goes, to the Battle of Marathon in ancient Greece. But what if I were to tell you that this commonly assumed connection is all a farce? That the "real" running at the Battle of Marathon does not even closely resemble what we do today? That the real way to partake in a military "marathon" involves about 50 or so pounds of gear and an all-out sprint? That runners have been doing it wrong since the 1800s? Before all the marathon-philes tar and feather me for speaking such locomotive blasphemy, hear me out. 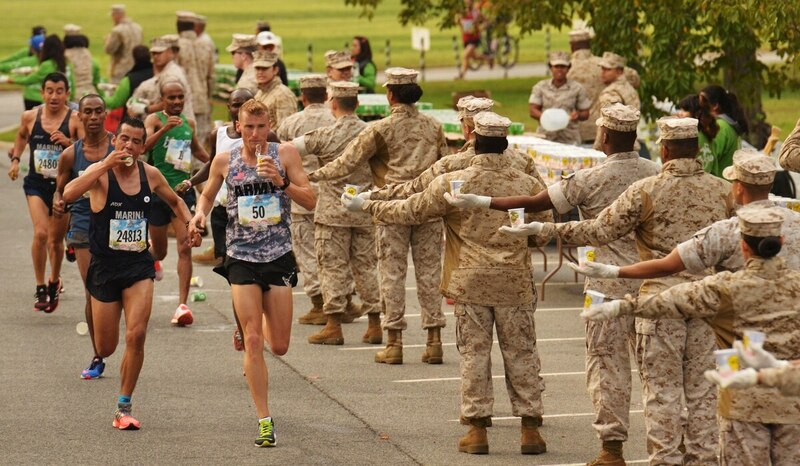 Runners at the start of the Marine Corps Marathon. It's common knowledge that the 26.2-mile race's name came from the battle on the Greek plain of Marathon in 490 BC. It involved anywhere from 10,000 Greeks and 20,000-100,000 Persians — accounts vary, but the Greeks were vastly outnumbered. That is where our "hero" Pheidippides, a Greek messenger and soldier, famously runs from the city of Marathon to Athens, about 26 miles away, and delivers the news of the miraculous victory … and collapses. Fast-forward to 1896: A couple of French dudes want to honor this famous run as part of what would become the first Olympic Games, and voila, we have the modern-day marathon. Except we don't. Or, at least, we shouldn't. First, there's the issue of our distance runner: Pheidippides probably wasn't even at the battle, as the Greek historian Herodotus wrote that he'd been sent from Athens to Sparta to seek help — an ultra-marathon distance of about 150 miles that he covered in two days. He then turned around and ran back to Athens. Impressive, sure. But there's no historical account of the 26.2-mile trek from Marathon to Athens announcing a Greek victory. An 1879 poem by Robert Browning told that story, and it was much more likely on the minds of the modern-day Olympic event planners than anything Herodotus put together. So, we need another hero. Now, the Greek general in charge at Marathon, Miltiades, had a better idea than to just run until the enemy got tired. Miltiades, knowing the deadly effectiveness of the Persian archers and cavalry, devised a plan that broke from the typical Greek phalanx formation and instead relied heavily on speed. Miltiades split his soldiers into three formations with the majority positioned on the two edges, marched them up to the "beaten zone" — or just outside of Persian archers' range of about 200 meters, though historians debate the distance — and gave the command "At them!" At that point, the Greeks sprinted at the Persian forces. This served two purposes: It caught the Persians off guard, and it shortened the time the Greeks spent in range of Persian archers. The combination of speed and surprise lead to the unexpected victory for the Greeks. Marathon was not about a 26.2-mile trek, but rather a 200-meter sprint. So if we got Marathon right, racers would take part in a 200-meter sprint with 50 to 60 pounds of kit, about the weight of gear carried by the average Greek hoplite. Instead of thinking about the next water and fueling station with each stride, you would imagine a Persian arrow falling from the sky on your position, leading you to drive your legs with maximum effort to ensure your body is not there when it lands. Long, slow training runs would be replaced by heavy squats, to allow maximum velocity. Meals would be geared toward maximizing your strength-to-weight ratio. Goodbye pacing algorithms, hello sprint technique. It's clear that if modern marathons were more like the run at the Battle of Marathon, the world would be a stronger place. If you have not sprinted since you were a kid, start at around 60 percent to 70 percent intensity and gradually work up. Don’t escalate intensity and/or volume by more than 10 percent a week. Once you get the hang of it again, cut back on the volume as you increase the intensity. Work on getting stronger. I prefer squats, but if physical limitations prevent squats, pick some lower body exercise you can do under significant load. When you are physically prepared, try the 200-meter sprint unloaded and check your time. Gradually add load in no more than 10-pound increments until you get up to the Greek hoplite weight of 50 or 60 pounds. 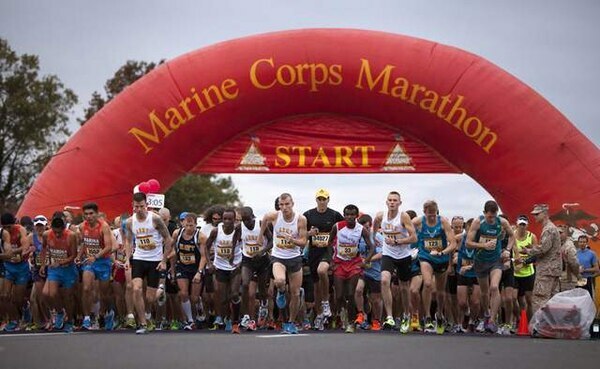 Once you are ready, run your "Military Marathon" and check your time. If you can cover 200 meters with 50 or 60 pounds in less than 30 seconds, I think Miltiades would have been happy to have you on his side, and if you make it in under 28 seconds, you would probably have been picked to help lead the charge. Anything under 24 seconds, and you'd probably have been a reoccurring image in a Persian archer's nightmares. 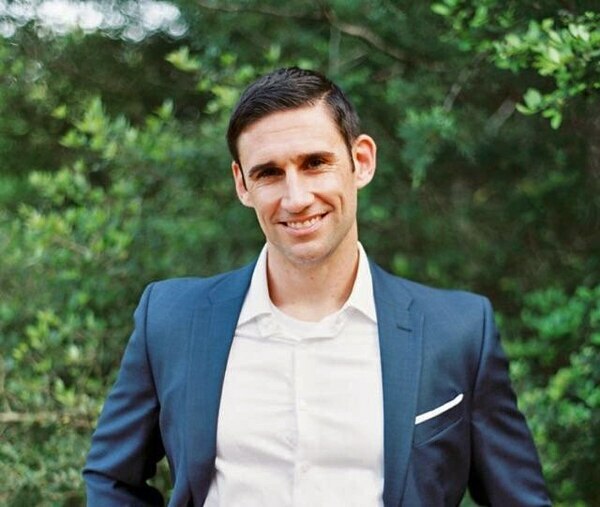 Nick Barringer is an Army officer who works in the field of nutrition and human performance. He has a doctorate in kinesiology from Texas A&M. He previously served as the regimental nutritionist and as a member of the Ranger Athlete Warrior program with the 75th Ranger Regiment. His opinions are his own and do not reflect those of the Defense Department.